The Ironwood Cinemas 8 is located just north of the intersection of Hwy 395 and Hwy 88 in Minden, NV in the center of the Ironwood Shopping Center. The legend of Sharkey’s lives on today with great food, loose slots, and friendly folks. 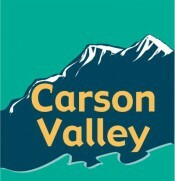 Carson Valley Community Theatre, Inc.